They serve Kushikatsu, deep-fried meats and veggies known to be the soul food of Osaka! When traveling, "follow the long lines" is always a good measure for which restaurants to try and whether a restaurant serves good food. 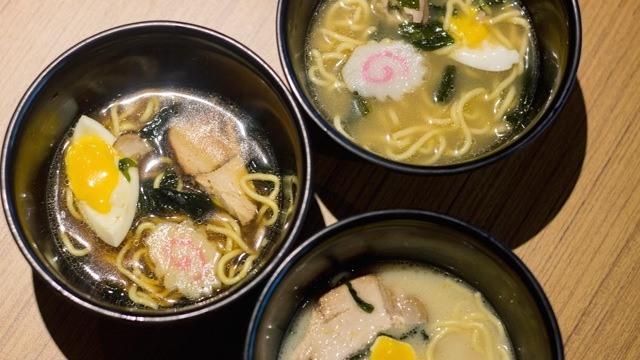 In this case, go where the Japanese locals go and you're sure to get great Japanese food. Osakatsu in Salcedo Village is such a spot, packed with businessmen—mostly Japanese—who are out to grab lunch. Osakatsu serves Kushikatsu, soul food which originates from a small small neighborhood, Shinsekai, located in Osaka, Japan. 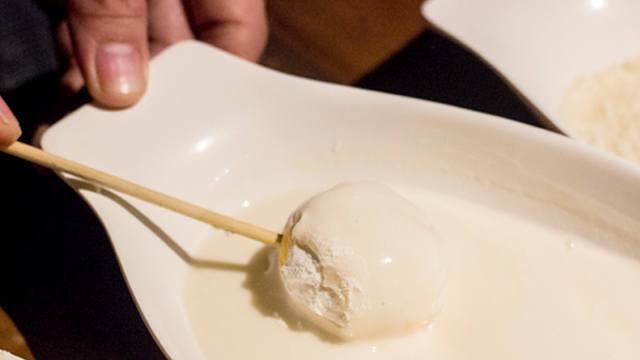 By its definition, kushi means skewers, while the word katsu means a deep-fried cutlet of meat. In this case, the meat and vegetables are skewered, battered, and fried. 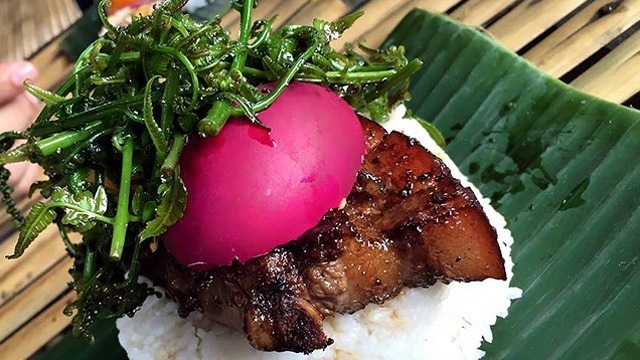 It sounds simple, but this dish is very much loved by the locals and tourists for it's easy to eat and it can fill the stomach for an affordable price. Osakatsu's minibar overlooks Valero Street in Makati. 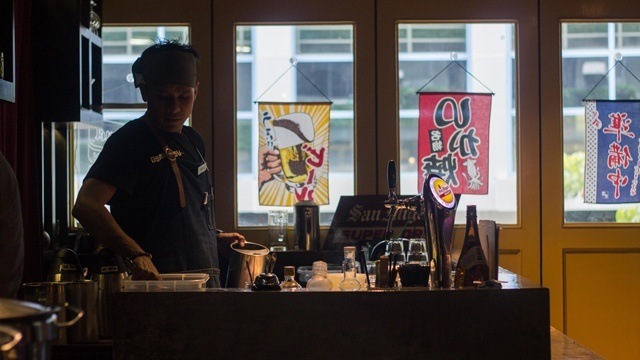 They serve local and Japanese beers, Suntory Kakubin Highball, Japanese whisky, sake, saketini lychee, and plum wine. 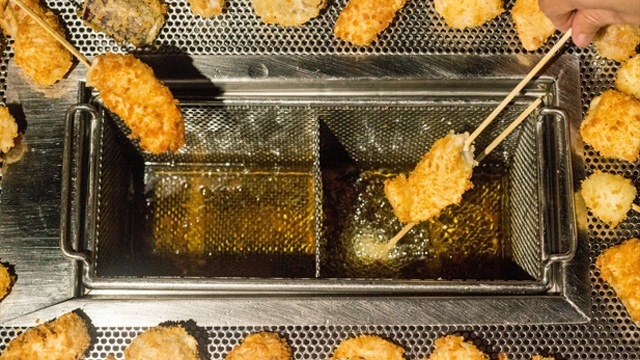 Deep fryers are installed on every table, perfect for a night of frying and dipping! Spot the puffer fish holding a kushikatsu and a beer bottle with each fin. 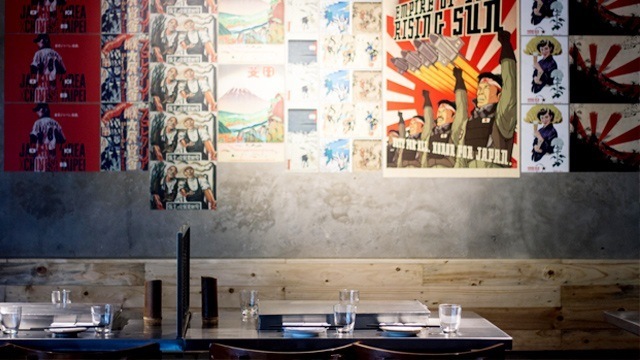 The concept behind the restaurant is meant to marry Japan’s street food style with a more formal restaurant setting. 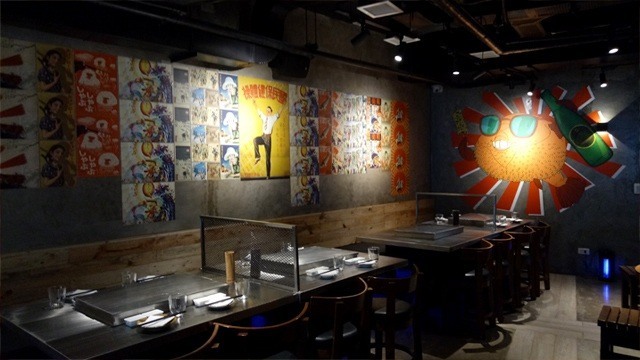 This translates to the urban aesthetic of the place where modernized Japanese posters and anime-like graphics are plastered on the concrete walls— like the puffer fish and the big-bellied Glico running man holding a bottle of beer and kushikatsu. Various skewered mushrooms, tofu, and sausages. Sea urchin ball that's being dipped in batter. 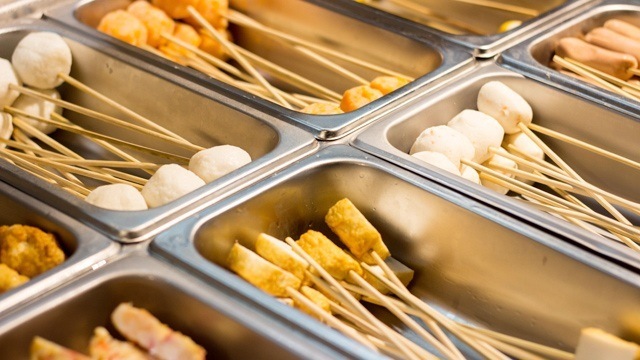 Much like Korean barbecues, the kushikatsu buffet is a do-it-yourself dining experience. Customers get to choose from a wide variety of skewered meat and vegetables. To properly cook these skewered goods, it has to be coated with the provided flour, batter, and Panko (Japanese breadcrumbs)—respectively. The wooden tables have deep fryers installed in them where one can cook the meat and vegetables. Choose from chicken strips, porkloin, pork sausage, tenderloin, salmon, salmon balls, shrimp, sakura (cherry blossom) shrimp, basil and squid tempura, crab roe buns, sea urchin balls, Singaporean fishballs, cheese balls, gindara (black cod) tofu, shitake mushroom, mushroom balls, eggplant, quail eggs, and sweet potato. It is advised to only cook each stick for 2-3 minutes, until it’s golden brown.  The buffet also includes one complimentary bowl of ramen— shoyu, miso, or tonkotsu, and an unlimited serving of chicken teppanyaki, yakisoba, Japanese curry, Japanese fried rice, cabbage with sesame dressing, and california maki, tamago, and salmon maki. The kushikatsu buffet costs P490 per head and is only good for one and a half hours and is available from 11 a.m. to 2 p.m. and 6 p.m. to 9 p.m. When the buffet isn’t available, or if you’re just not in the mood for an eat-all-you-can meal, Osakatsu also has an à la carte menu available all throughout the day. 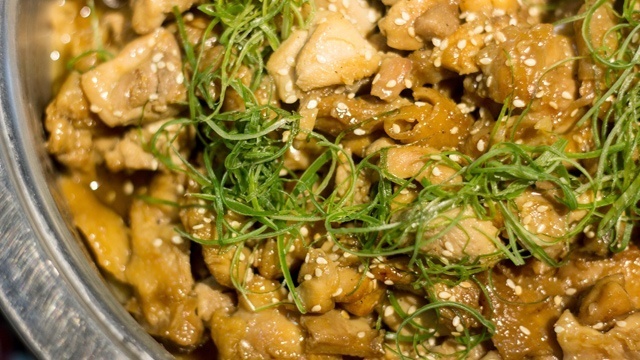 The Edo San Special with sauce that's IG-friendly. 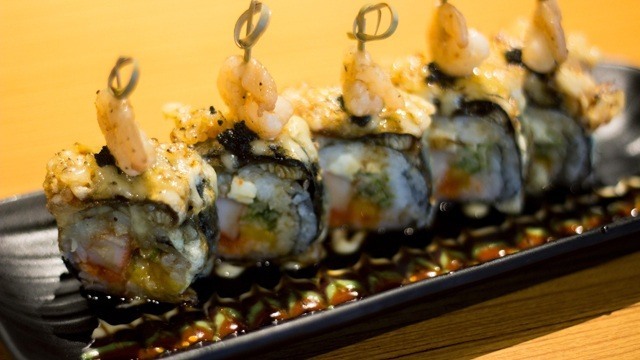 Other menu items you should try: the Black Mamba (P365), which consists of soft shell crab tempura, sushi rice cooked with squid ink, and generously sprinkled with Parmesan cheese. The Edo San Special (P450) is made from anago (salt-water eels), crab stick, cucumber, ebiko (fish roe), and cream cheese. Beef Usuyaki that's oozing with onion steak sauce. 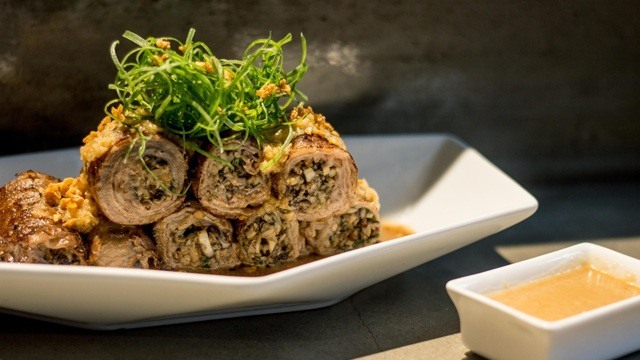 One of their main dishes is the Beef Usuyaki (P345) which consists of eight pieces of rolled beef that’s stuffed with shitake mushroom and bacon, and glazed with an onion steak sauces. Since people love the onion steak sauce too much, an extra serving of it is also offered alongside the dish. The Matcha Coffee Frappe (P115) is a cool and sweet way to refresh the palate in between bites. 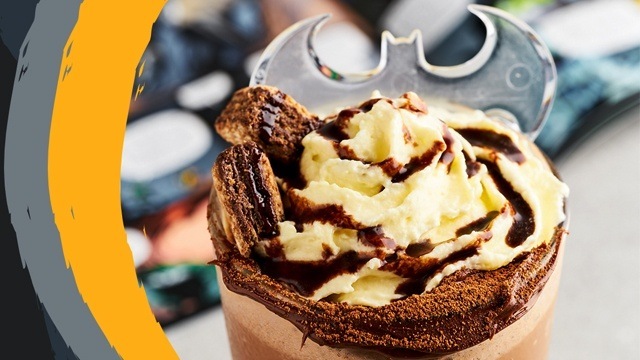 It’s a concoction of ice-blended cappuccino, matcha powder, milk, and topped with whipped cream. 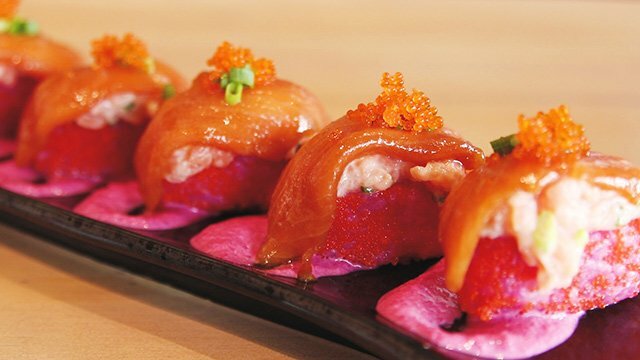 Mr. Roboto takes a modern approach to classic Japanese sushi. 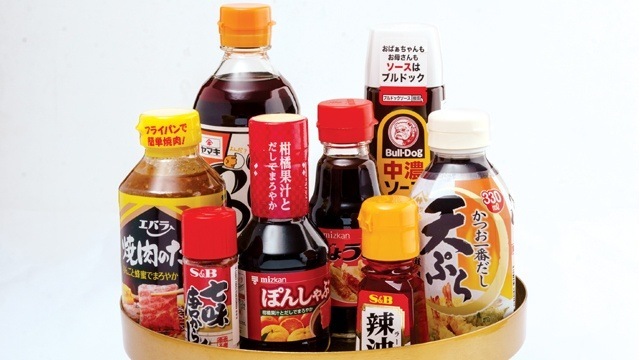 Osakatsu Manila is located at 2nd floor of Valero One Center, 102 Valero Street, Salcedo Village, Makati. For more information, check out Osakatsu’s official Facebook page.